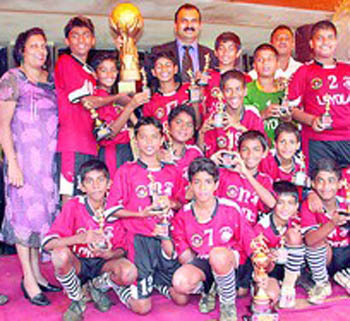 Loyola High school of Margao won the finals of Royceton memorial invitation Cup football at St Paul’s grounds, Belgaum on Wednesday. They beat Marathi Vidya Niketan Belgaum 4-1 in the decider. The main scorers were Filboun Crasto, also rewarded for being the highest scorer of the tournament. Klins Mendes was declared as best player of the tournament. Loyola has won this tournament for the third time.